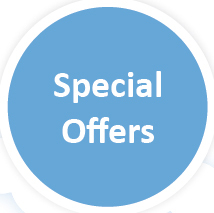 Special Offers can increase your profits! Everyone loves a bargain, that’s for sure. Indeed, in these cost-conscious times, everyone practically demands a bargain. But Special Offers, if handled the right way, can be a great method of generating bookings you wouldn’t otherwise have had – and therefore boosting your revenues rather than diminishing them. Get what you want out of them. Use your Special Offers to encourage the right kind of bookings for your business. For some, that may mean long-stay discounts, because you take revenue on extras like food and beverages. For others, it might mean enticing guests to stay over low season dates. In both cases, the right kind of Special Offer can bring you extra business. Use them strategically. Switch a Special Offer on only when you know it’s going to be difficult to sell your rooms at your normal rate. This could be a particular night (i.e. Sunday) when business is slow. Make sure they’re an obvious bargain. Don’t just drop your rates and hope that someone will notice! Your online booking system must show the reduced rates as a discount/offer (e.g. 10% off or an extra night free) in order to create a strong perception of value and thus entice bookings. Make them seem scarce. Have a Special Offer that expires relatively soon, to encourage customers to take advantage of it before it vanishes. Or, if you have only 3 room types, you could attach an offer to just 1 of them (i.e. the one you find most difficult to sell). Keep bargain hunters on their toes! Vary your Special Offers. Don’t inadvertently lull your customers into expecting an offer over certain dates. Use different offer types and see what works best for you. Make them obvious. Put Special Offers where your customers will find them, right on your home page. Add them to your email signature too, so that you’re advertising them even during the daily routine of contacting people about other things.